Find a wide selection of whiteboards, marker boards, and discounted dry erase boards currently on sale at Worthington Direct. Complete your school furniture purchase with new whiteboards for your classroom. Whiteboards are available in several different surfaces, from deluxe Porcelain Steel whiteboards, to magne-rite magnetic whiteboards and Dura-Rite surfaced markerboards. 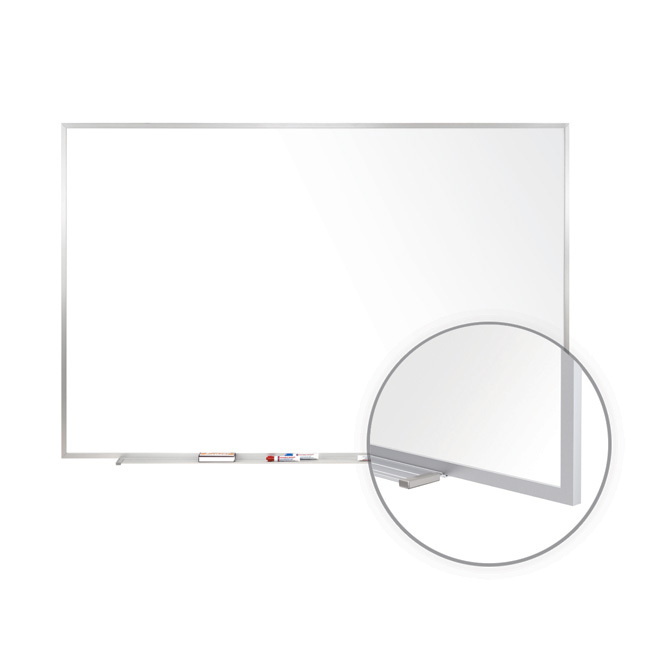 Porcelain steel whiteboards represent the best possible writing surface, featuring high visibility, easy dry erase writing surface with a 50 year guarantee, in addition to being magnet-friendly. Magne-Rite whiteboards offer a 10 year guarantee and are also magnetic. At Worthington Direct, you'll find a variety of popular presentation board styles and configurations. Check out our Easel selection that feature more dry erase boards and chalkboards. Also look for our Eco-Friendly Dry Erase Boards and Bulletin Boards to help reduce your school or facility's carbon footprint. Learn more about writing surfaces and whiteboard terminology by visiting our Dry Erase Board Buyer’s Guide. If you don't find what you're looking for have questions about our dry erase boards, marker boards contact us via live chat, email [email protected], or by phone at 1-800-599-6636.